This video and the text reflect the work of Eliasson artwork that appears in the book. Taken in the Tate Modern in Autumn 2003. A huge light structure with a mirrored ceiling. The colours are untouched and as they were on the day. 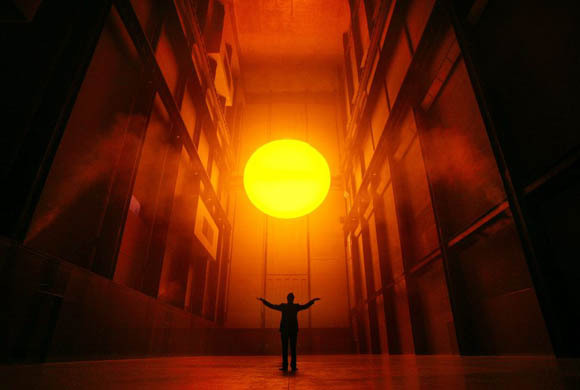 The indoor sun exhibit at the Tate Moderne museum in London. Video talk "Playing with space and light"